The Bridgeton, MO 2017 4th of July parade is on Tuesday, July 4th and starts at 10am. This year, weather permitting, the Budweiser Clydesdale Team is said to be making a appearance in the parade! 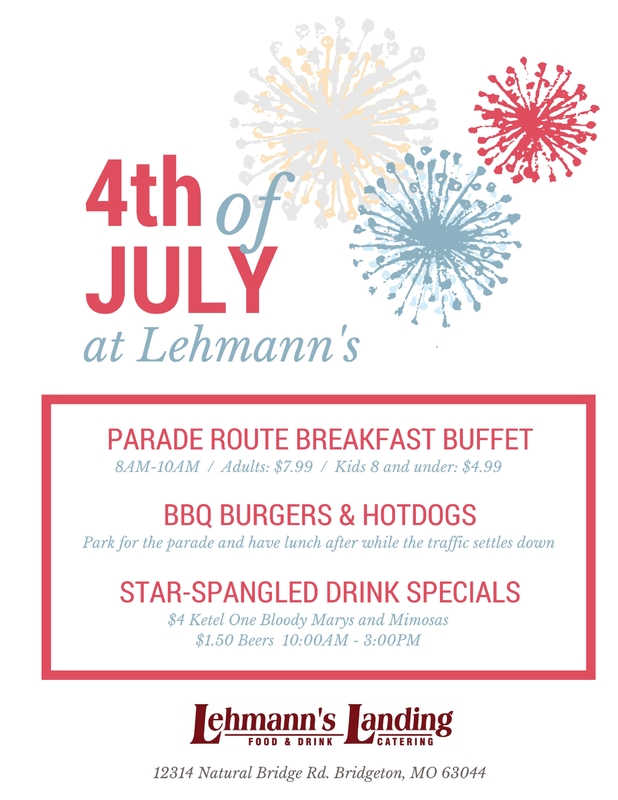 Join us for breakfast while you save your parade spot on Natural Bridge and then come by after for BBQ lunch and a drink! Previous Opening Day at Lehmann’s! Next Happy Friday! Pool Tourney Tonight @ 7.